Please make sure your device is updated to the latest firmware. Check here for update instructions. Some devices may require the phone pair procedure to be repeated to return to full Bluetooth functionality after an update. Close GPS Ally App on your phone. From your phone's Bluetooth settings, forget your GPS device. Turn the phone’s Bluetooth off and then back on with the toggle switch in your settings. In the phone menu on your GPS, cancel advertisement if it is currently advertising. Select the "Reset" option in the GPS phone menu. 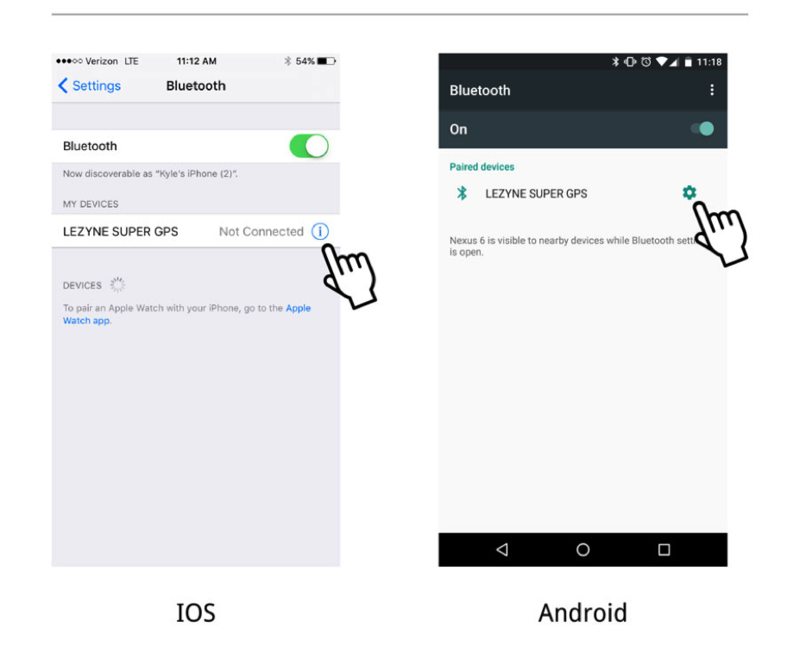 You may now open up the Lezyne GPS Ally app and start the pairing process as usual. To perform a Hard Reset on your device, hold the Enter and Menu buttons down for a full 30 seconds. It should end with a blank screen at which point you can power the unit on. Run updater again. Please allow for the updater to run to completion. It will prompt you to unplug the device when it is finished. Bootloader is a hardware wired mode that automatically puts your Lezyne GPS into a firmware update. If you updated your device and now your screen is blank and not reacting, this is the fix. Open the Lezyne GPS Updater on your computer, when it reads "Please Connect Your Lezyne GPS Device" hold the Lap and Enter buttons down on your GPS Device while simultaneously plugging in the included Micro USB cord. Open the Lezyne GPS Updater on your computer, when it reads "Please Connect Your Lezyne GPS Device" hold the Enter and Menu buttons down on your GPS Device while simultaneously plugging in the included Micro USB cord. Once the device is plugged in you can release the buttons and the updater will automatically start uploading the new firmware onto your device. Please allow for the updater to run to completion. Once complete, please wait 15 seconds before removing the USB cable to allow for any background processes to finish. 2019 © Lezyne USA, Inc. All rights reserved.